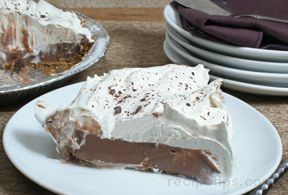 Two creamy layers of pudding and whipped topping with a chocolate wafer crust. 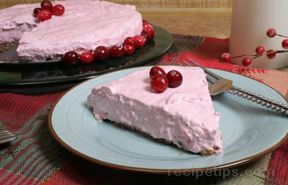 It's as easy as "pie"! And fat free, too. Pour 3/4 cup milk into medium bowl. Add chocolate pudding mix, beat with wire whisk for 1 minute. Gently stir in 1/2 of the Cool Whip. Spoon evenly over crust. Pour remaining milk into another medium bowl. Add white chocolate pudding, beat with wire whisk for 1 minute. Gently stir in remaining Cool Whip. 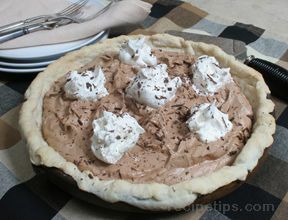 Spread over chocolate layer in pie crust. 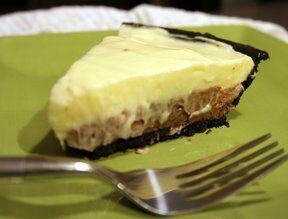 Garnish with shaved chocolate if desired. "Simple and easy. My 9 year old made this herself for the family."